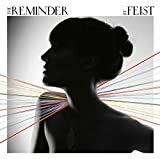 1234 Lyrics by Feist - First heard this song on an Apple Ipod Nano commercial. The tune caught my attention big time. I found the original video for the song (see below). It's actually really clever little vid. Looks like it's a single shot (though certainly not the reality). I'm gonna have to investigate Feist a bit more. 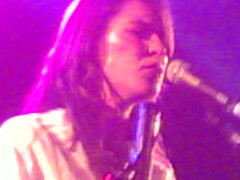 Feist was on The Colbert Report in April 2008. Silly interview but she also performed a song, while Colbert wore the outfit she wore for her 1234 video. Feist said as part of the deal for using her 1234 song for Apple, Steve Jobs somehow managed to get the Canadian a U.S. passport, so Feist has dual Canadian/U.S. citizenship...At least I think she was serious about that.